There has been a lot of speculation and rumor surrounding Henry Cavill returning as Superman as of late, with a recent rumor stating a big hurdle preventing his return is his demands regarding approving the script and director. However, it's learned the latest rumor is just not true as the managerial team surrounding Henry Cavill has stated the rumor as “patently inaccurate,” noting there is “no truth to this.” Henry Cavill is not making any sort of demands in order to return as Superman or for a potential Man of Steel 2 (via Collider). Interestingly enough, it has just been confirmed that James Gunn passed on directing a Superman movie in favor of Suicide Squad 2. In addition, it is also thought Cavill's Mission Impossible director Chris McQuarrie passed on a Superman movie and also Green Lantern Corps, as McQuarrie is now filming two Mission Impossible movies back to back. McQuarrie is also planning on bringing back Henry Cavill for more Mission Impossible, so if Cavill had some hand in not approving McQuarrie for a Superman movie, his return to MI seems highly unlikely. The Gunn situation also confirms that WB is still interested in more Superman films. What is also interesting is Dany Garcia stating how the DC Universe is evolving, which fits with recent comments made by the chairman of Warner Bros. Pictures Group, Toby Emmerich, about Warner Bros. no longer being concerned with a Justice League shared universe. It seems obvious the new leadership of the DC films is going in a new direction which is concentrating on putting out quality solo films like Wonder Woman, Aquaman, Shazam! and more. 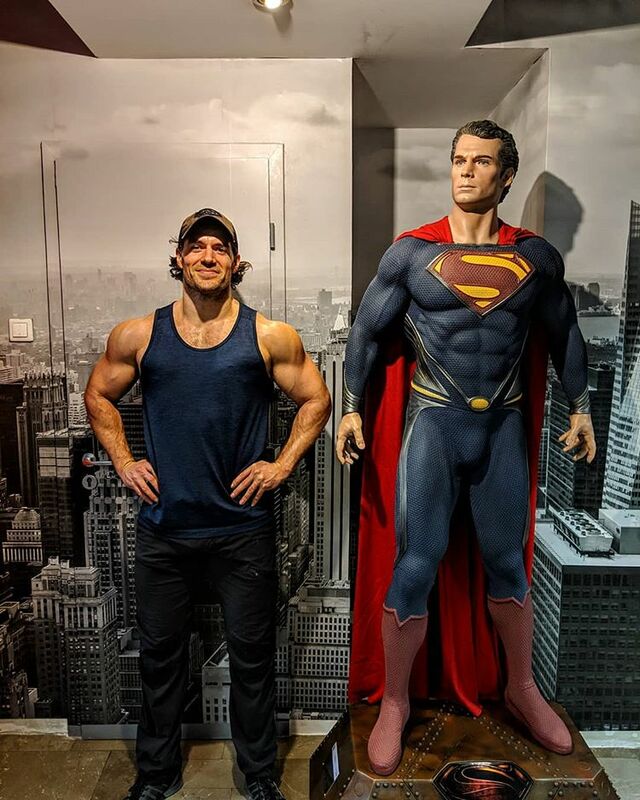 Henry Cavill also recently teased Superman when he posted that super-jacked image of himself. Worth a note is that Cavill posted it after the news of Ben Affleck leaving Batman. It could be like I said, WB may be waiting on the right director for a potential Man of Steel 2 and there is no drama behind the scenes. I also tweeted our in response to a fan, that Warner Bros. will have a heck of a harder time replacing Henry Cavill as Superman than they will with Ben Affleck as Batman. Cavill is the face of Superman, which there can be no doubt. ← PREVIOUS ARTICLEHugh Jackman vs Ryan Reynolds Is Back On!